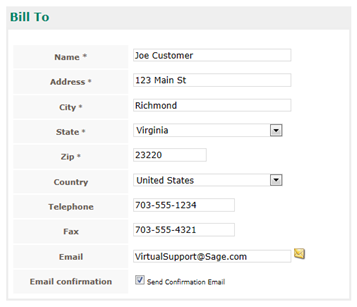 Support Home Paya Virtual Terminal Do I have to ask a returning customer for their information every time their card is charged? Do I have to ask a returning customer for their information every time their card is charged? Asking a returning customer for their information every time their card is charged. Do I have to ask a returning customer for their information every time I need to charge their card? The Paya Virtual Terminal stores transactions for 18 months. If you need to charge a customer whom you've processed before, you can use a former transaction to avoid re-collecting their information for subsequent attempts. Please review the information carefully to make sure that there are no necessary updates. For instance, you may want to change the Order ID, transaction type or amount. 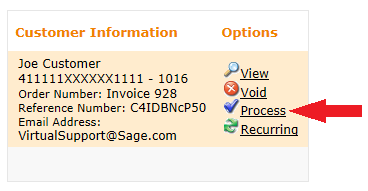 Select "Change Cardnumber" if you need to change the credit card that is used. Setting up customers for recurring payments in the Virtual Terminal.